2013 Spring Evaluation period event recaps have been pouring in all week. I was reading one of the Tip Off Classic's recaps and saw that two Memphis Girls Basketball players received some ink. One of the teams that caught attention at the Tip-Off classic was Team All In from Memphis, Tenn. A couple of players that stood out were 6-2 post Manaya Jones and 5-9 guard Michaela Campbell. 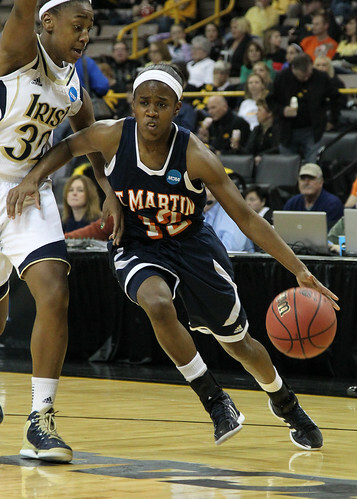 Jones had a commanding performance in the post as she aggressively tracked rebounds and has a nice drop-step move. Campbell was great in transition and her shot selection was very good. This kid is a playmaker. AAU and Travel basketball season is here. Team Po Po's season has not quite started the way I would have wanted it to. However, the season is still early. With 3 more months remaining, the team and players will improve over that time period. Below is an inside view of one of Team Po Po's early practices. In the video, you will see a drill we use to create focus and intensity while working on passing, catching, shooting and layup skills. You will also see drills we use to work on boxing out and partner shooting. If you are interested in learning how you can become a part of Team Po Po, email popo@girlsbasketballtrainer.com. 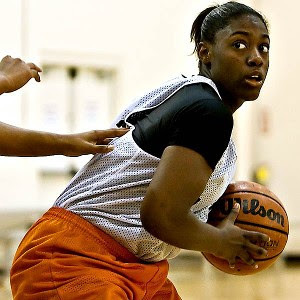 Also, if you are interested in having your team or daughter trained by Patosha Jeffery, visit http://www.girlsbasketballtrainer.com/miniregistration.htm . Team Memphis Elite 6th Grade went undefeated winning all of its games by margins of 14 to 28 points recently at the Jackson, TN AAU Regional Qualifier held 4/19-21. Can you imagine going into the first day of a NATIONAL NCAA-Certified event with only 7 players? Well that's how this past weekend started for me. PeachStateBasketball has coined players that jump on the map and garner national attention during the April evaluation weekend as "Hype Kids". They are basically saying these are players they are expecting to take advantage of playing in front of college coaches and nationally media and showing out. Tennessee Glory's Jasmine Cincore and Memphis Elite-Holmes' Amber Holmes were two of the players mentioned to be "Hype Kids" of PeachStateBasketball's Tip Off Classic. I normally go into my team practices with a plan. Not having a plan means I will use too much time on one thing, run out of time on something else or leave something out. I've started sharing personal moments and thoughts with my Facebook friends recently. So I decided to start sharing it on Memphis Girls Basketball. In the videos, you will get to see the different activities and thoughts behind running Patosha Jeffery Basketball. In this video, I talk about how Team Po Po did in the recent Dream Classic tournament. Enjoy! Here are some tips on looking your best while playing in front of women’s college basketball coaches and evaluators during NCAA-Certified events. These events are set up for you to show your skills off. Be aggressive yet under control. Don’t try to do too much with the ball and be perceived as a ball hog. Shoot within your scoring range. Pass the ball, if your teammate has a better open shot. Talk on defense. Encourage, congratulate and cheer your teammates on. In this episode, you will get an inside look into Team Po Po's practice. Each practice begins with a team huddle up for announcements and the quote of the day. In this practice, I talk about Skylar Diggins impact on the Notre Dame and Duke game. Geno Auriemma has been chasing Pat Summitt since he started coaching. Now with his eighth national championship, he has finally caught her. It might not be long before Auriemma stands alone with freshman Breanna Stewart leading the way. Stewart scored 18 of her 23 points in a dazzling first half and Connecticut won its eighth NCAA title with a 93-60 rout of Louisville on Tuesday night. It was the most lopsided victory in a title game, and it put the Huskies back atop college basketball after missing the game the past two years. Nice behind-the-scenes video of Chattanooga Womens Basketball featuring Memphis Girls Basketball players Alex Black (Harding), Alicia "Red" Payne (White Station), and graduate manager Maurice Burton, former Memphis area AAU coach. Here is a nice Behind-the-Scenes video of Memphis Lady Tiger Basketball.. Boy have times changed.. When I played for the Lady Tigers, we definitely did not fly on Private Jets.